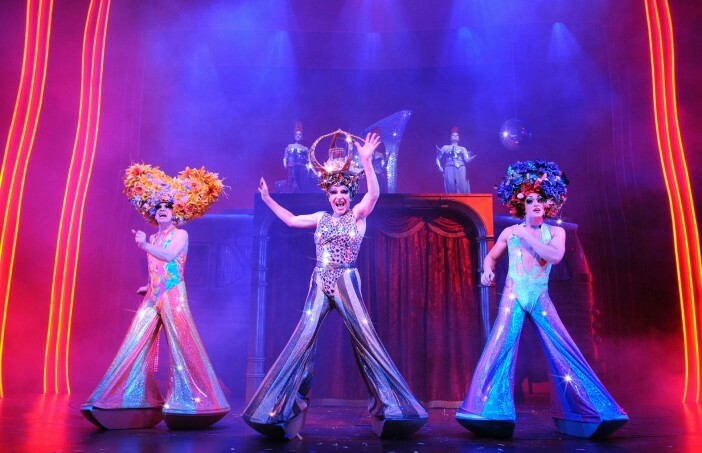 If you’ve booked to sail on the Norwegian Epic from October 18th this year, prepared to be blown away by an on board performance of the sensational Tony award-winning Priscilla Queen of the Desert. This heart-warming story is based on the Oscar-winning movie and tells the tale of three friends who take a ride on a battered old bus in the search for friendship and love. One of the best things about Priscilla is that it uses well known songs as its score and you’ll find it hard to resist singing along to all the favourites which include ‘Girls Just Wanna Have Fun’, ‘It’s Raining Men’ and ‘I Will Survive’. With more than 200 glittering head-dresses, 500 dazzling costumes, and a bag full of stomping tunes, Priscilla is sure to be the highlight of your trip. Now a firm favourite aboard Royal Caribbean’s Allure of the Seas, Chicago continues to delight cruisers in 2015 with its spectacular costumes, sensational sets and incredible performances. The show is a 90 minute version of the famous Broadway play and tells the story of Roxie Hart, a nightclub dancer and housewife. Filled with jealous rage, Roxie murders her lover and is sent to prison where she fights for her freedom, aided by her sleazy lawyer. Soon after she meets Velma, another murderess with a hankering for fame, and together they fight each other for a chance to steal the show. You’ll be bowled over by the exceptional cast and the lights, glitz and glamour make this a breath taking show that you won’t want to miss. A new show for Royal Caribbean’s Oasis of the Seas, the ever popular and much loved CATS is an award winning production that cruisers will be dying to get a glimpse of. The show is, of course, based on Old Possum’s Book of Practical Cats by T. S. Eliot with all of the music composed by the brilliant Andrew Lloyd Webber. On Broadway, it is the third longest running show of all time and now, Royal Caribbean have partnered with the Really Useful Group to revive the musical and give guests the opportunity to appreciate this dazzling spectacle once more. 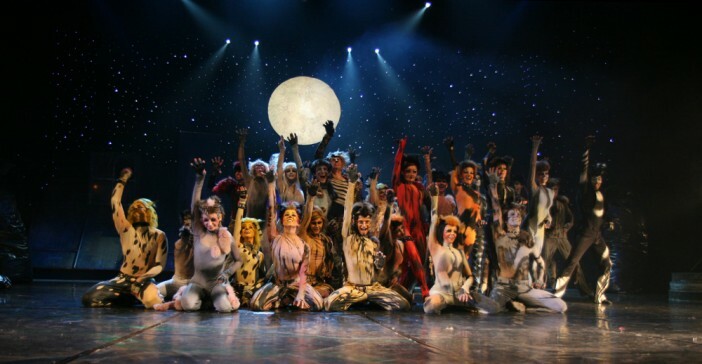 The show tells the tale of a tribe of cats named the Jellicles, and takes you back to the night in which they make the ‘Jellicle choice’. The performances include the well-known song ‘Memory’, sung by Grizabella – a once glamourous cat who has become a shadow of her former self. 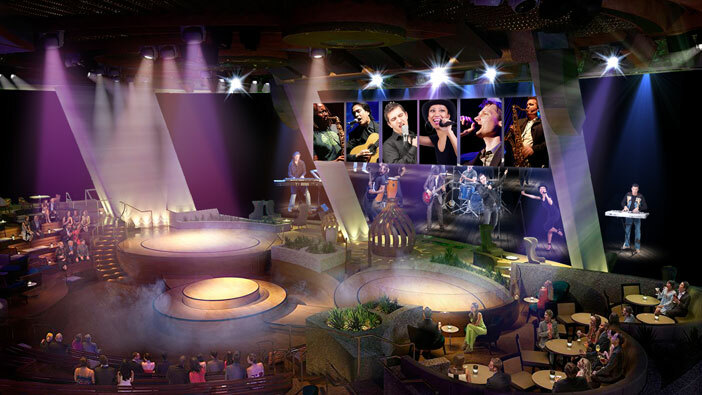 Set in Royal Caribbean’s state of the art theatre, the show will take you on a unique, exciting and unforgettable journey that will both astound and delight. Aboard Quantum of the Seas, cruisers can enjoy the inspirational musical Mamma Mia, packed to the brim with all your Abba favourites including ‘Dancing Queen’, ‘Money Money Money’ and ‘The Winner Takes It All’. Mamma Mia tells Sophie’s story – a young girl who is trying to discover the identity of her father before she gets married. Royal Caribbean’s version of this exciting musical is faithful to the West End original and with a strong cast delivering incredible performances, you won’t be able to resist clapping, dancing and singing along as the show goes on. Rock of Ages is a five-time Tony Award nominated exciting musical packed with classic rock hits from the 80s, with songs from the likes of Bon Jovi, Europe and Poison. Cruisers on Norwegian Breakaway will love this highly dynamic and colourful version of the popular Broadway show where the hair styles are almost as big as the bands. The musical follows the story of a boy and girl who fall in love and despite the odds, find a way to make their dreams come true. You’ll find yourself clapping and singing all the way through the show to your favourite tracks which include ‘We Built This City’, ‘The Final Countdown’ and ‘Here We Go Again’. These are just a few of the cruise ship musicals you can enjoy in 2015 – visit our homepage or call our dedicated sales team on 0808 274 6777 for the full range.